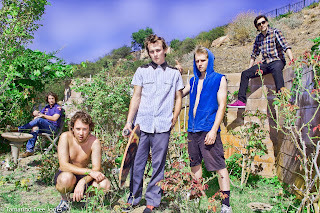 Irontom - "Mind My Halo"
Los Angeles based band Irontom released this heavy hitting groove called "Mind My Halo" a year ago, but have continued to generate buzz and just the other week they released their new 4 track project The Loose EP. Yet the music capabilities of the members is evident as guitarist Zach Irons and drummer Dylan Williams are the respective son and nephew of rock and roll journeyman Jack Irons, original drummer for Red Hot Chili Peppers and assorted rock legacy (Pearl Jam, Joe Strummer etc). Zach was actually taught to play guitar by Chili Pepper veteran and guitar hero John Frusciante. Yet, these guys are forming their own path and "Mind My Halo" is the perfect introductory tune for anyone who has not experience their music yet.